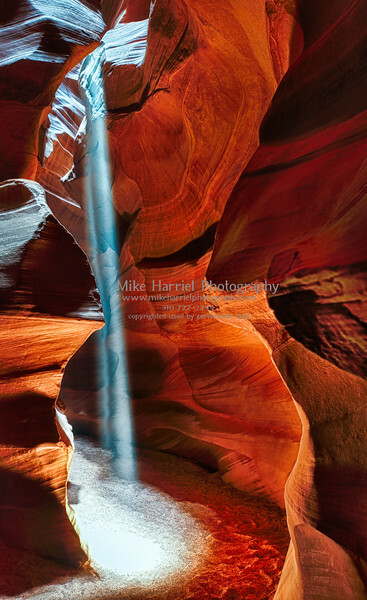 Antelope Canyon was formed by erosion of Navajo Sandstone, primarily due to flash flooding and secondarily due to other sub-aerial processes. 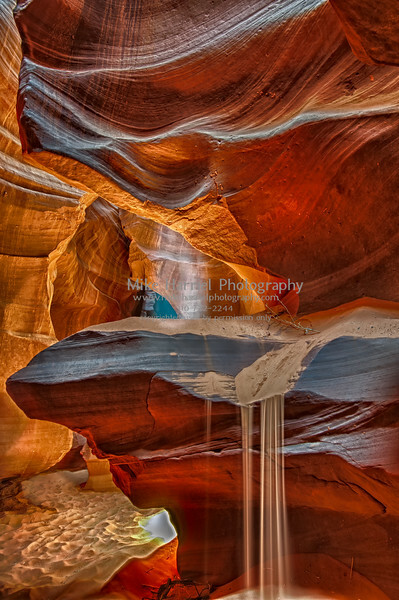 Rainwater, especially during monsoon season, runs into the extensive basin above the slot canyon sections, picking up speed and sand as it rushes into the narrow passageways. 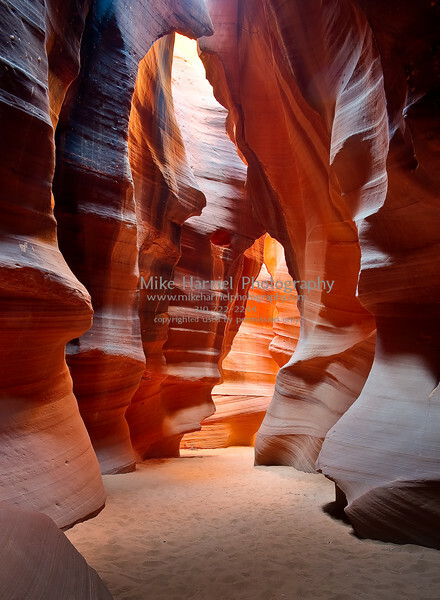 Over time the passageways are eroded away, making the corridors deeper and smoothing hard edges in such a way as to form characteristic 'flowing' shapes in the rock. 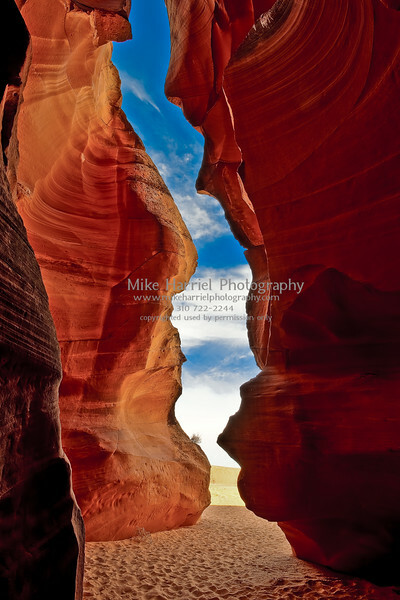 It has been accessible by permit only since 1997, when the Navajo Tribe made it a Navajo Tribal Park. 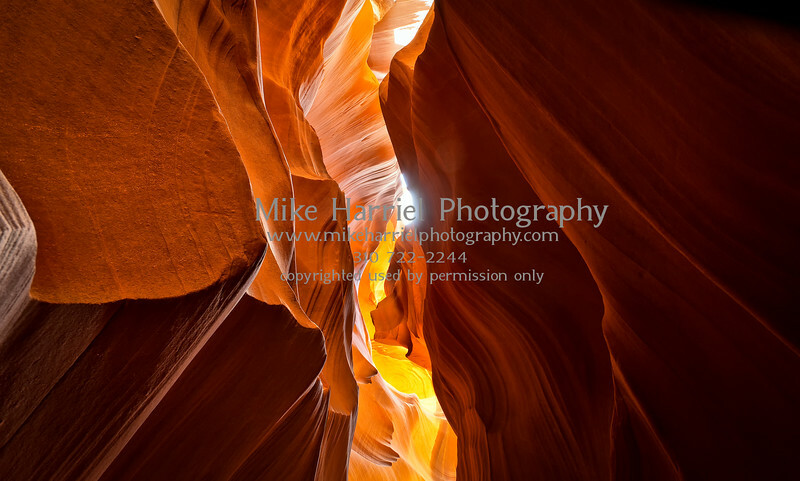 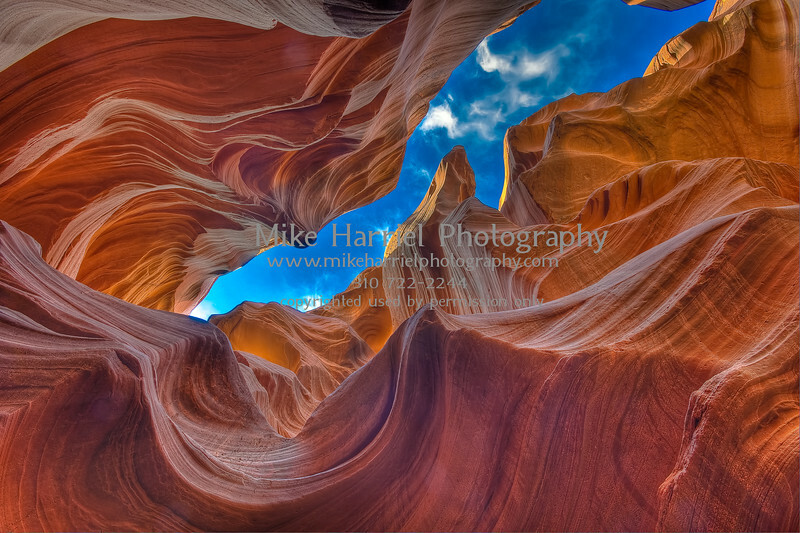 Photography within the canyons is difficult due to the wide exposure range (often 10 EV or more) made by light reflecting off the canyon walls. 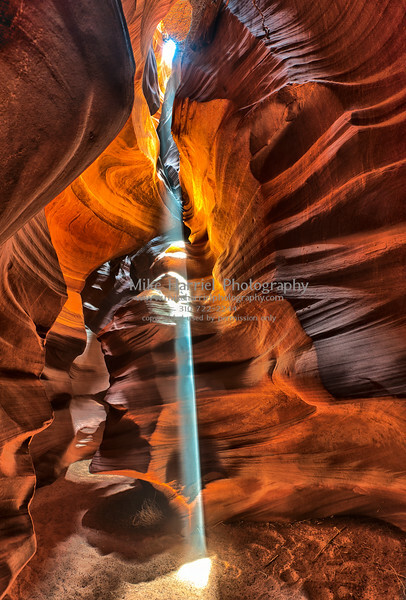 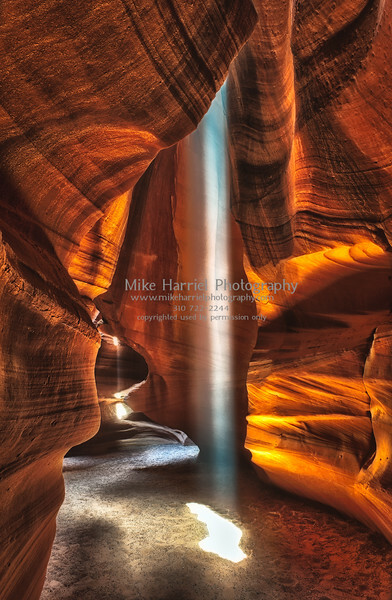 During the summer months beams of light shine through the caverns creating dramatic light tubes.